Has your baby's due date come and gone? Are you feeling fed up waiting for baby to arrive? There are many reasons why patience is important at the end of your pregnancy. I have grown more and more passionate about the need to wait for babies to decide when birth should begin. If mother and baby are both healthy and well, why rush things? The 'good body' knows what it's doing. There have been studies which indicate that labour is triggered to start at a certain stage of baby's lung development. A protein is released, causes a rise in oxytocin and changes in hormones, and the contractions (surges) then start. Have a look at this article for more details: http://www.drmomma.org/2008/01/fetal-lungs-protein-release-triggers.html Babies born with immature lungs often need help to breathe, and are at a higher risk of SIDS. The artificial oxytocin called Syntocin, also called Pitocin, is not regulated internally, but by someone else's clock. So the contractions (surges) are brought on hard and strong. No wonder women who are induced often experience a cascade of medical interventions, taking all those pain-killing drugs, which knock out mum and baby at the same time. Why start life like that, instead of being patient? If mother and baby are well, perhaps it is best if baby decides when s/he is ready to come out. Find out more about the induction process here. What are the longer term effects of Syntocin or similar drugs on mother and baby? This is yet to be investigated fully by researchers, but there seem to be suggestions that these drugs can mess around with our natural oxytocin levels. And oxytocin is really important to all sorts of things: our ability to feel and love, to show affection, to engage in romantic and other social relationships, our digestion, our ability to heal from inflammations and wounds, our ability to feel calm and secure, etc. So the question that is raised in my mind about the wide, and ever-increasing, use of Syntocin (and other brands of synthetic oxytocin) is, how does this effect mother and baby's moods, feelings and overall health? what about baby's development? and both mum's and baby's ability to produce and regulate their own oxytocin levels? and what are the long term effects? I await more research in this area. According to the World Health Organisation going in to labour anytime between 37-42 weeks is normal for humans. So why do we abide by 40 weeks as a deadline? In some other countries, due dates are given at 41 weeks. In my hypnobirthing antenatal classes, I encourage parents to think of their due time as a due MONTH. So if your 'due date' is given at 27 Jan, then say to yourself, my baby will definitely be with me by Valentine's day. And then be patient. Try to resist external pressures to hurry up and get the baby out if both mother and baby are healthy and well. Please remember: artificial induction is of course a useful medical intervention, when it is NECESSARY. For example, it can become necessary when a mother develops pre-eclampsia, when a baby is genuinely in distress, when there is infection present that will harm mother or baby, etc. So save the medical interventions for when they are needed. That's why they were developed. And, when all is well with mum and baby? Be patient and trust that the body can do what it is perfectly designed do. 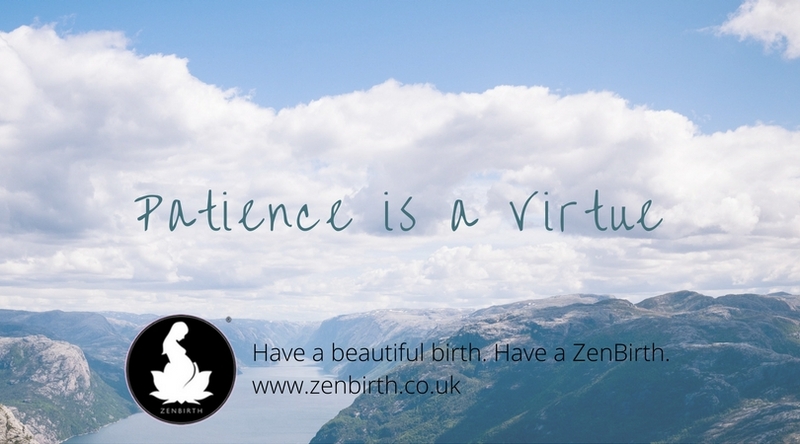 You can birth so much more easily when you remain calm, relaxed and breathe into each surge. If you want to learn how to you can be be calm and relaxed for your baby's birth, have a read about hypnobirthing and feel free to ask us any questions.